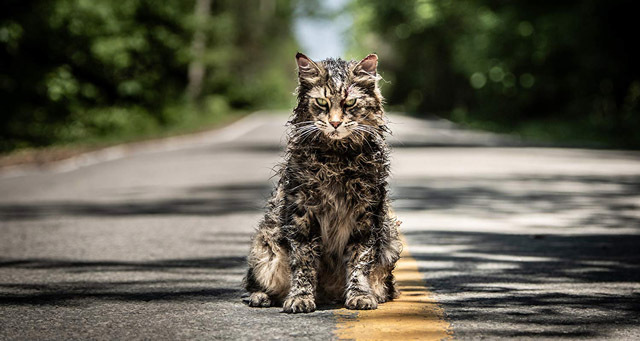 Horror, mystery and the supernatural all come together for director’s Kevin Kolsch and Dennis Widmyer makeover of the 1989 film adaptation of Pet Sematary. Based on Stephen King’s classic novel, the film focuses on the family’s disturbing dealings with death. 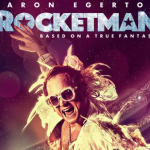 Starring Jason Clarke (finally not playing a character who’s being cheated on) Amy Seimetz (reminding us how much wasted potential the American version of The Killing had) and John Lithgow (legendary grump, never phones it in) Pet Sematary has revived an impressive cast.. but is it better left buried? Pet Sematary stars Jason Clarke as Dr. Louis Creed, who moves his family from Boston to rural Marine (Stephen King loves Maine, BTW) after buying a house that extends into the woods. 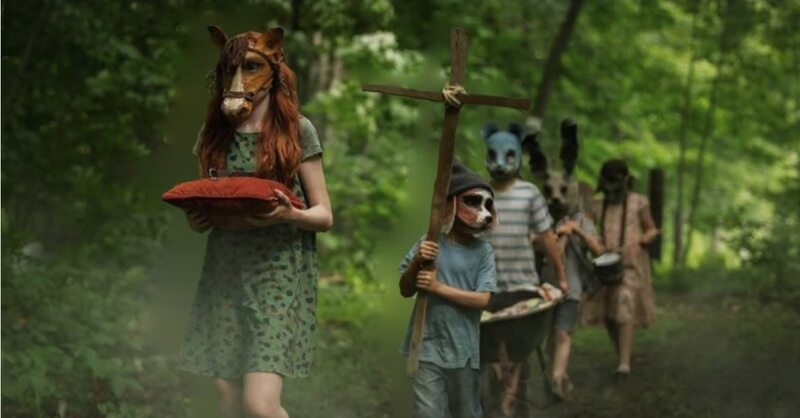 Those woods include a mysterious burial ground maintained by the children of the town, who have an unnerving ritual of wearing animal masks and walking into the woods as a procession with dead animals. Louis and his wife, Rachel (Amy Seimetz), their two children, Ellie (Jete Laurence) and Gage (Hugo and Lucas Lavoie), and the family cat, Church, all try together to relax into their new surroundings. When they make friends with neighbour Jud Crandall (John Lithgow), everything seems normal. But Jud brings something sinister to Louis’s attention. Themes of mental breakdown, despair, hope, death, and love are all intertwined to differentiate this film from both the book and the 1989 film. This remake attempts to understand the varying, extreme states of mind people go through when in grief. Concise and fresh use of narrative, unusual images, and unconventional jump scares are the most obvious hallmarks of Kevin Kolsch and Dennis Widmyer makeover. 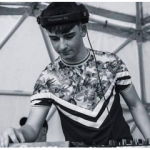 As alluded to by my colleague Mike Finnerty, horror is often a genre that acts as Trojan horse for deeper issues within society or within the human condition. Night Of The Living Dead is social commentary on race relations in Post-Kennedy America, Nightmare On Elm Street 2 did it way back in the 80s with repressed homosexuality, and Silence Of The Lambs tackled a woman trying to make it in a mans world, yet they still work as bread and butter horror films. Pet Semetary joins those ranks of popcorn entertainment with an intellectual facade. The directors startle and challenge the viewer with personal themes and distinctive style. A perfect example of this is the mirror scene with Rachel. The atmosphere is one of suspense and intrigue as Rachel gazes into the mirror. Curiously, this scene suggests that the mirror reflects a deeper reality than our physical appearance- how we look into the mirror in an attempt to discover our identity after grief. Her attempts to open the cabinet mirror suggest her desperation for some avenue of escape from grief so much so that she longs for medication or in another sense healing. The preceding nightmarish images of blood and her dead sister crawling her way into the bathroom remind us that no place is as frightening as the dark depths of the grieving psyche. One of the most iconic lines in all of horror cinema is “sometimes dead is better,” but it takes on a greater meaning in this 2019 update. Best read in a thick Maine accent. CHOWDAH! It marvels at death’s abilities to release her father from the difficulties in life, and bring her transcendence where in her mind could free him from his corporal cage. The phrase suggests how natural it is to hide from our own or someone else’s death. But we have to face the inevitable. Pet Sematary’s shifting focus is a suggestion of a mind under increasing strain with shifting thoughts and intentions. This horror film is challenging and depressing, but you must appreciate and admire Kevin Kolsch and Dennis Widmyer makeover. It makes you think and enables you to feel compassion for humans who suffer from grief or mental illness. Due to the familiarity with both the book and the 1989 film adaptation one cannot underestimate the craftsmanship of Kevin Kolsch and Dennis Widmyer on such choices.